Phil Mickelson already has a win and a round of 60 under his belt this year using a one-off Callaway ball - and now you can get it, too. His Chrome Soft X – the ball used by many of Callaway’s Tour players including Francesco Molinari and Xander Schauffele – is now available with “Triple Track Technology” – three lines on the ball that help with alignment. The specific-width blue and red lines on the side of the ball use “Vernier Acuity”, the same visual technology used to land planes on aircraft carriers. According to Callaway – and the reason Mickelson switched – the tech improves alignment, compared to the regular line stamped on many of today’s Tour balls, particularly when it comes to putting. The same alignment lines can be found on Callaway’s new-for-2019 ERC Soft ball – which has been selling like hot cakes – but this is the first time it’s been used on a Tour ball, and largely thanks to the success Mickelson has had with it. 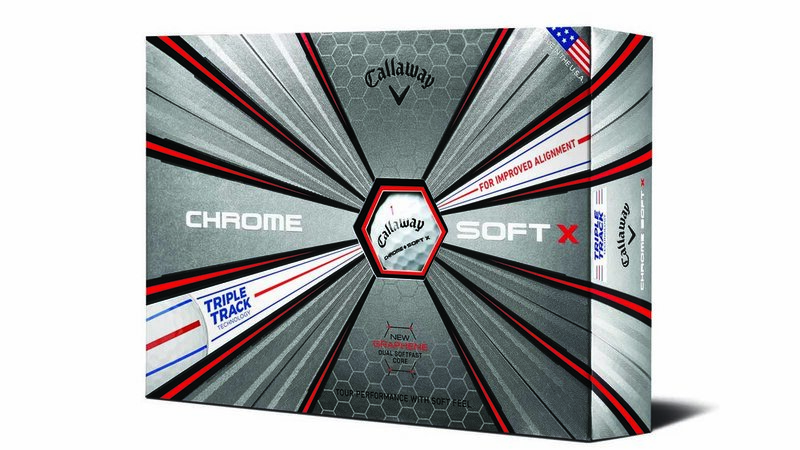 Callaway says: “Chrome Soft X Triple Track Golf Balls combine Tour-proven performance with unparalleled feel, and exceptional mis-hit forgiveness. “Everything about the ball that changed the ball is better because we’ve innovated at every layer, from our groundbreaking Graphene Dual SoftFast Core to the premium urethane cover. “The world’s best like Phil Mickelson, Xander Schauffele, Francesco Molinari and many more are using it to win on Tour, and now it’s available with advanced alignment from Triple Track Technology. What’s so special about Mickelson’s new ball? Available: From April 19, 2019. Triple Track uses Vernier Hyper Acuity to improve alignment compared to a regular side stamp alignment aid. Graphene-infused Dual Soft Fast Core with a new, larger inner core maximizes compression energy while minimizing driver-spin and promoting high launch for long distance. Thin ultra-soft Tour Urethane Cover feels fantastic and generates shot-controlling, stroke- saving spin on pitches and chips.